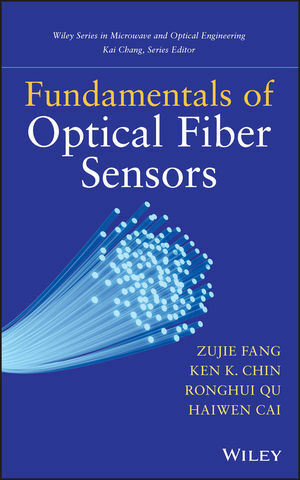 This book describes the latest development in optical fiber devices, and their applications to sensor technology. Optical fiber sensors, an important application of the optical fiber, have experienced fast development, and attracted wide attentions in basic science as well as in practical applications. Sensing is often likened to human sense organs. Optical fiber can not only transport information acquired by sensors at high speed and large volume, but also can play the roles of sensing element itself. Compared with electric and other types of sensors, fiber sensor technology has unique merits. It has advantages over conventional bulky optic sensors, such as combination of sensing and signal transportation, smaller size, and possibility of building distributed systems. Fiber sensor technology has been used in various areas of industry, transportation, communication, security and defense, as well as daily life. Its importance has been growing with the advancement of the technology and the expansion of the scope of its application, a growth this book fully describes. ZUJIE FANG is a Professor at the Shanghai Institute of Optics and Fine Mechanics, Chinese Academy of Sciences. KEN K. CHIN is a Professor of Physics at the New Jersey Institute of Technology. His research interests include infrared imaging sensing and device physics. RONGHUI QU is a Professor at the Shanghai Institute of Optics and Fine Mechanics, Chinese Academy of Sciences. HAIWEN CAI is a Professor at the Shanghai Institute of Optics and Fine Mechanics, Chinese Academy of Sciences.